In June, I decided to quickly paint up a set of Harboth’s Black Mountain Boys (an early Regiment of Renown) – and promptly disappeared off the face of the planet for the duration of the summer. Oh well. Stuff like that happens. Now I’m back, partly fuelled by Erny’s post over at Erny’s Place from the other day. 8 out of 10 boys are done, and the command (sans musician, who needs to be stripped) are half done. 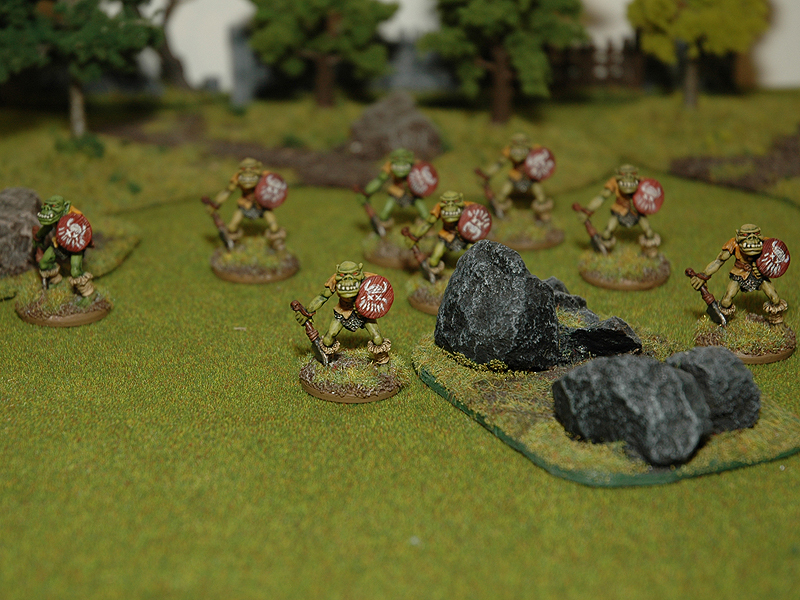 I needed 8 orcs for a game of Hero Quest this weekend though. More on that in a separate post. I aim to post more orcs for Orctober. It’s a good cause, after all. Then we have Goblinovember next month. I’ve got something prepared for that too. Yay me! Update: Forgot to up the tally! These guys increase my painted total for 2013 from 11 to 19! And it’s only week 41! 11 more weeks, and almost 40 models to do. Yikes, I’ll have to bring out the snotlings! Looking good Phreed very nice mono-pose orcs. These are Perry’s no? Yep, I think they’re Perry sculpts. Will do further research and full cover when I post the remaining 6 guys (including full command of four). Regarding the old monopose regiments, I’m really keen on them. It’s much easier to tell troopers apart from special characters when skirmishing or board gaming.